If you were to walk through a village experiencing a cholera outbreak, it would be silent. Many people hide away in their homes, and everyone is struck with fear. Cholera is a bacterial illness that causes severe diarrhea and dehydration and, if a person is not treated quickly, it can be lethal within hours. The cause of such an awful illness? Contaminated water, in almost every case. Nakirimira, a village in the Mayuge district of Uganda, suffered a severe and fatal cholera outbreak in the fall of 2017. And if it weren’t for the intervention of a nearby village, they may have witnessed even more tragic deaths. The World Health Organization estimates that there are 1.3 million to 4.0 million cases of cholera, and 21,000 to 143,000 deaths worldwide due to cholera in a single year. And yet, simple life-saving WASH (water access, sanitation, and hygiene) practices have proven to aid in cholera prevention. 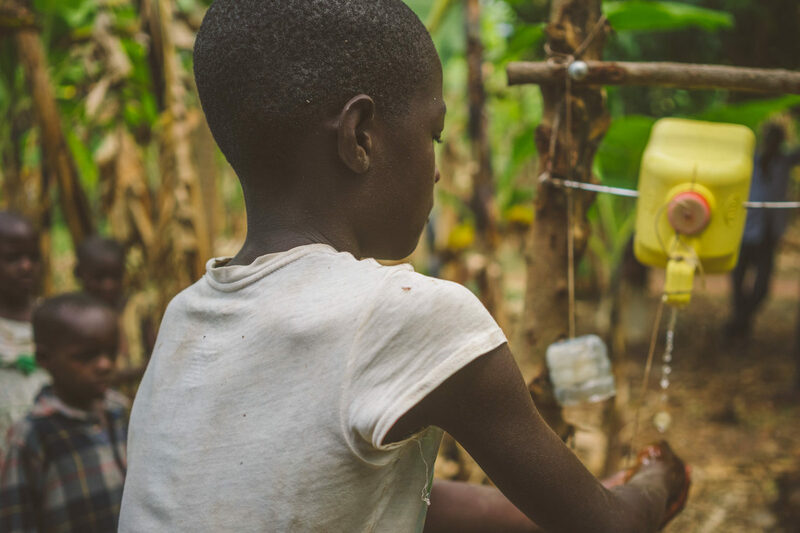 A girl in Kaliro, Uganda, washes her hands as part of five healthy WASH habits. In the rural areas of the developing world many families experience stomach pains and diarrhea due to water-borne illness. As such, the beginning signs of cholera can be difficult to identify. And, in villages like Nakirimira in Uganda, very few grow up with sanitation and hygiene practices. WASH knowledge and cholera prevention practices are not common. Birobeire, 38, lives in Nakirimira village. In May of 2017, he buried his six-year-old son. A week later, he buried his wife. Both had symptoms of cholera for only two days before dying. Searching for answers, the widowed father and other townspeople reached out to Bukoba, a nearby village whose residents seemed unaffected by many of the diseases they were experiencing. Bukoba had been practicing five healthy habits learned from Lifewater. They kept their floors swept, had a well for safe water, washed their hands before eating, and built their own restrooms to prevent the spread of feces. And they were healthy. 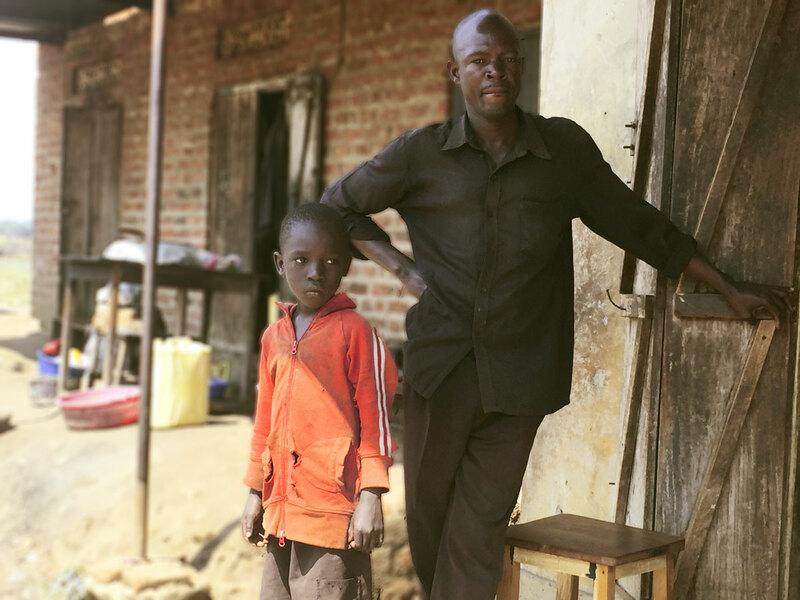 The widowed father and his son stand outside of their home in Nakirimira village, Uganda. Village members saw the need in Nakirimira and went to their village to teach them how to prevent the spread of disease. The cholera outbreak ceased, and it hasn’t returned since. Every day, more and more members of Nakirimira village pick up on healthy habits. Every day, people are living fuller lives and Nakirimira is flourishing as God intends. Sanitation and hygiene training is a dedicated, relational form of development that requires the participation of entire communities. But the result is lasting change, saved lives, empowered people, and unity among rural communities.